A list of some of my software/hardware projects. A collection of useful formulas, which I have gathered over the years. 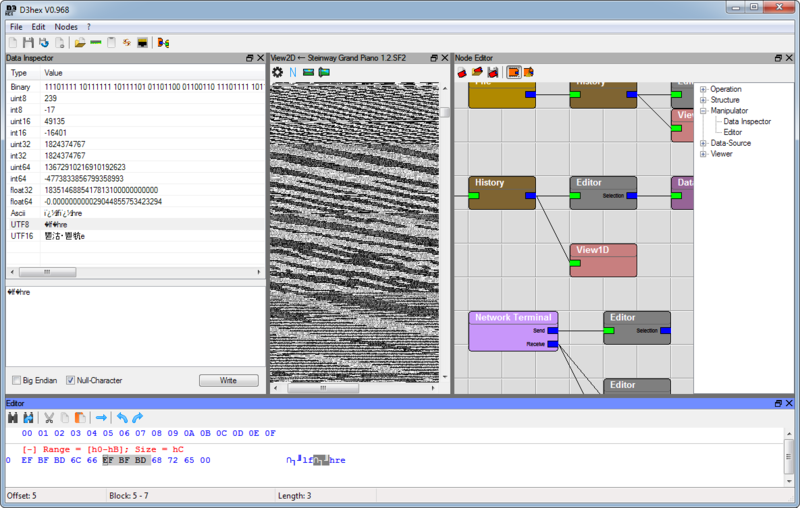 D3hex is a fast and lightweight hex-editor. To be more exact it grew to be a general binary file-editor and viewer, which includes a hex-editor among other things. The goal of the software is to faciliate you with the tools to open, interpret, view and edit any file you wish. One important element of this software is its node based approach. This means that all functions of the software are available as single nodes, which can be combined to fulfil a specific task.